5 Creative Sheet Costumes–without damaging the sheets! Below I’ve shared a couple of additional details about each costume. 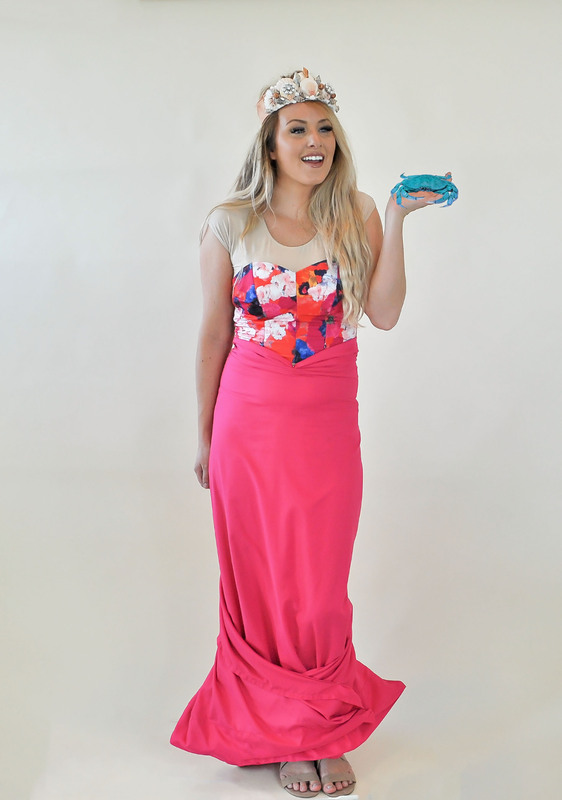 This mermaid costume took a bit of creativity to figure out. I ended up threading some thick craft wire through the hem to help me mold the fin shape at the bottom. 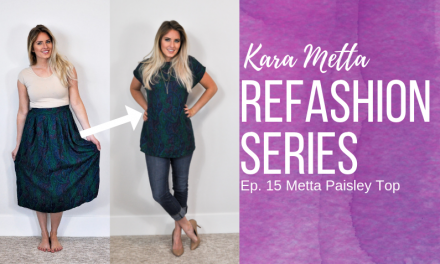 The swim top may look familiar since it’s the one I made using my Cricut Maker–tutorial here. The seashell crown was made using a visor and some hot glue–I have a tutorial for that here. Ah, the Bjork Swan Dress. This costume is based on the dress she wore to the 2001 Academy Awards. I used a queen sheet and lots of bunching to create the fullness of the skirt. In the photo above, I used construction paper for the beak and eye. I recreated this look later and used black felt instead of construction paper. I painted the felt orange for the beak portion, and it held up much better than the paper. 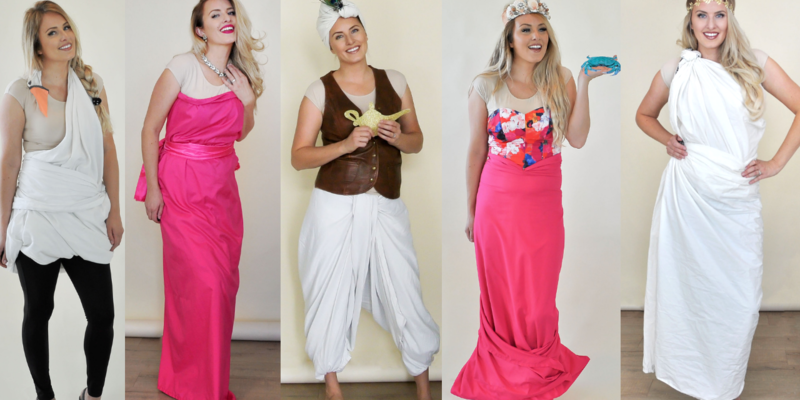 This genie costume was so fun to create! I used my Cricut to cut the lamp, a queen sheet for the pants, and a pillowcase for the turban. 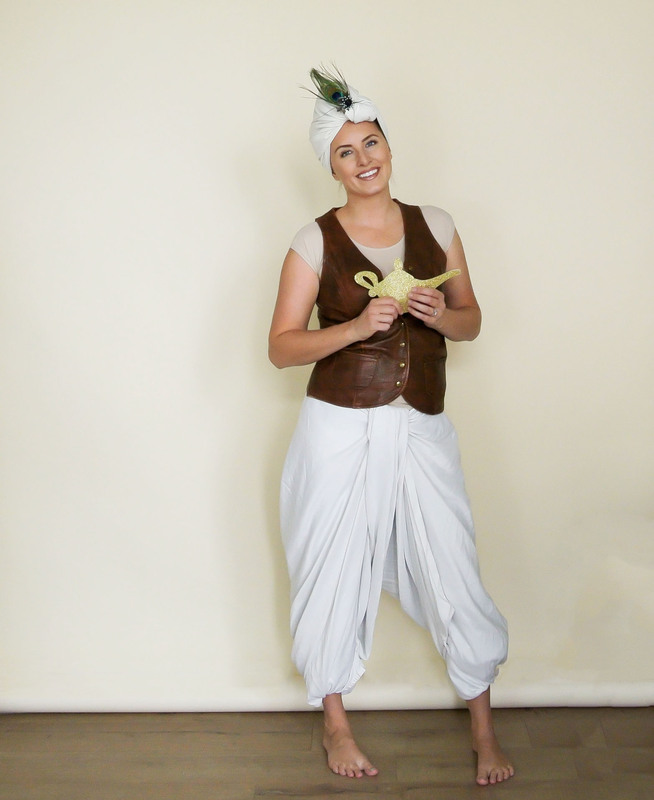 Adding a feather and a pin to the turban really made the costume feel more legitimate. Outside of the ghost sheet costume, a toga is probably the second most popular costume to make from sheet. With the design above, the trick is to do tight double knots and tuck the ends in. This made the costume entirely pin free. It is very open on the sides, however, so be sure to wear something under. The leaf headband really completes the look. I got mine from JOANN. This costume is based on the dress Marilyn Monroe wore while singing “Diamonds are a Girl’s Best Friend” in the 1953 film, Gentlemen Prefer Blondes. 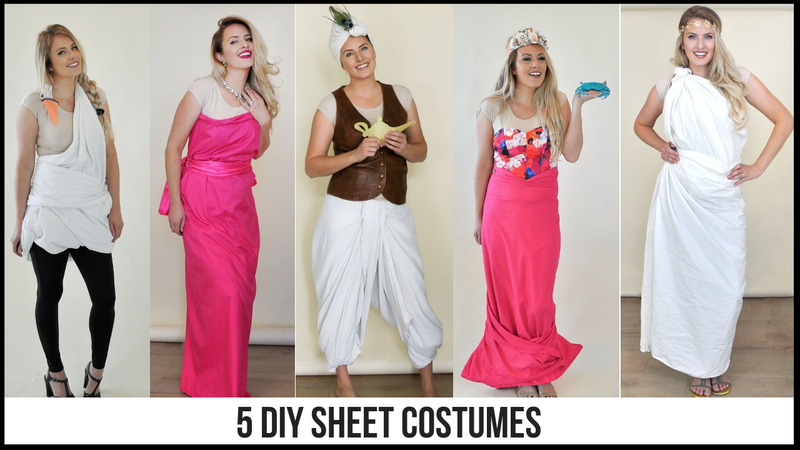 It’s the easiest costume to make, simply wrapping the sheet around the body, and pinning. If you have a matching pillowcase, you can cinch the center of it, then pin it to the back to create the bow she wears. I tied some spare pink fabric around my waist for this affect. I bought this sheet at the DI for $4.